Have you thought about how much art you don't see when you visit a major museum already filled with so many masterpieces that you can't appreciate everything in one visit? The museum exhibits only a small portion of its holdings in each exhibition, so this is an excellent opportunity to explore and learn more about the entire collection. Join Visual Arts Alliance (VAA) on Wednesday, January 10, 2018, from 5:30 p.m. to 7:00 p.m. at the Museum of Fine Arts, Houston, 5601 South Main Street, Houston 77005, for a tour of the MFAH Works on Paper Study Center. Located on the mezzanine level of the Audrey Jones Beck Building, the center is a unique, multi-use site that houses the storage areas for the art works in secure, climate-controlled facilities. We will have an overview of the collection that contains, prints, drawings, and photographs from across curatorial departments of the MFAH. The Works on Paper Study Center has a large collection of works on paper and photographs, it is estimated they have in storage more than 14,000 prints and drawings, and 27,000 photographs from the Asian, Latin American, and modern and contemporary collections as well as from the Sarah Campbell Blaffer Foundation. In this hands-on, members only, workshop led by artist and VAA Vice President Erik Hagen, participants will learn how to create a succinct and compelling artist statement and bio. 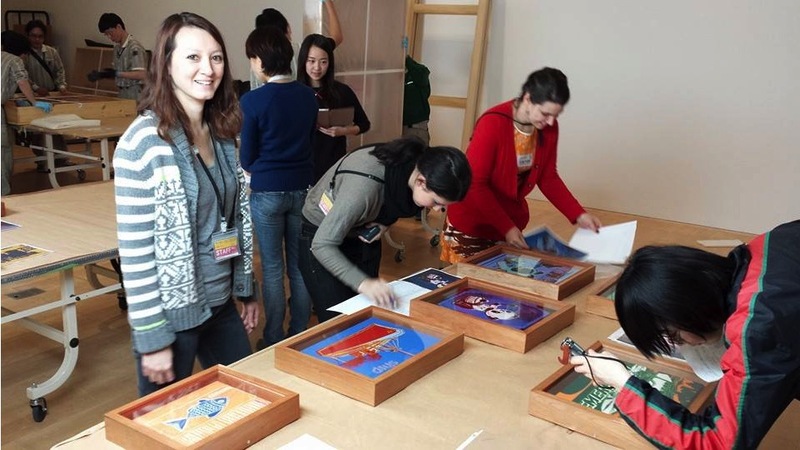 At the end of the workshop participants will have the tools to create a great artist statement and bio, and will understand where these essays fit into the broader artist toolkit. Participants should bring their computers to the workshop as we will be drafting initial artist statements. The workshop will be held at 1717 Michigan Avenue from 6:30 to 8:00 p.m. on Tuesday, January 23, 2018. Space is limited, so please RSVP to erik@erikhagenstudio.com to reserve a spot. First come first served. On Wednesday, February 7, 6:30 p.m., join Visual Arts Alliance and Trenton Doyle Hancock for an informal discussion about contemporary art in general, and Hancock's work specifically. The talk will take place at the home of Lester and Penelope Marks. Located at 2808 Rice Boulevard, Houston 77005, their home showcases one of the top art collections in the country. Marks says they "have proudly been huge patrons of Trenton since his beginnings." For almost two decades, Trenton Doyle Hancock has been constructing his own fantastical narrative that continues to develop and inform his prolific artistic output. Part fictional, part autobiographical, Hancock’s work pulls from his own personal experience, art historical canon, comics and superheroes, pulp fiction, and myriad pop culture references, resulting in a complex amalgamation of characters and plots possessing universal concepts of light and dark, good and evil, and all the grey in between. In the fall of 2017, Hancock was selected by Houston Art League as their Artist of the Year. The new Moody Art Center at Rice has also featured his work. There are 25 open seats for the event. Reservations are being take at: Programs@VisualArtsAlliance.org. A waiting list will be created and entry will be allowed on a first arrival basis. Light snacks will be available. 3516 So. Shepherd Drive at Richmond. Your host, Keri Bas, will be there with her sketchbook and pencils. Bring your own sketching material, or rent a watercolor kit from the cafe! On Saturday, March 3, Visual Arts Alliance (VAA) offers members and guests a rare insight into a juror’s selection process for art competitions with a free discussion by two prominent figures in the Houston art world: Catherine D. Anspon, Executive Editor at Paper City Magazine; and Dr. Cindy Lisica, owner and director of Cindy Lisica Gallery. The free presentation begins at 10:00 a.m. at the Montrose Center, 401 Branard Street, Room 112, Houston, 77006. The two speakers, both of whom have been jurors for VAA, will discuss their selection processes when judging a competition. Previously submitted works will be projected for the audience, and panelists will discuss the selection/elimination process applied to each work. Artists will discover the whys and hows of selection from a juror’s point of view, including the constants of technique and presentation as well as the unique personal biases of jurors. BLUEorange, 1208 West Gray St.
Each year, Visual Arts Alliance (VAA) hosts multiple professionally-juried art shows as part of the effort to create more opportunities for established and emerging artists alike to connect with the viewing public. On Wednesday, March 7, VAA will host an opening reception for the 35th Juried Open Exhibition from 6:00 to 8:00 p.m., with an awards presentation at 7 p.m. This event is the 82nd juried exhibition VAA has produced since its founding in 1981. It will be on display from March 6 through April 28 at BLUEorange Contemporary Art Gallery, 1208 West Gray, Houston 77019. Artists, art enthusiasts, collectors, curators, and emerging collectors are invited to attend. For collectors it is very important to note that VAA takes no commission on sales; all sales are handled directly with the artist. The selected works are in various mediums by the following artists: Cameron Alexander, Molly Block, Daniel Brents, Cara Cansler, Shanti Conlan, Scott Cunningham, Mark Dean, Fay Deng, Kathy Drago, Alix Dunn, William Dunn, Karen Eisele, Eddie Filer, Steve Fisher, Margit Gergely, William Gerrish, Leslie M. Guzmán, Erik Hagen, Doug Hiser, Margaret Howell, Veronica Ibarguengoitia, Cedric Ingram, Ted Kurland, Austin Magruder, Silvia Majocchi, Yasuyo Maruyama, Ron Masters, Ami Mehta, Tracey Meyer, Anita Nelson, Clark Nunn, Anthony Pabillano, Jessica Phillips, Erika Pochybova, Ellen Ray, Diane Rosaz, Maria Elena Sandovici, Marlo Saucedo, Nicci Sevier-Vuyk, Barbara Shaw, Rusy Singh, John Slaby, Laura Sprague, Robert L Straight, Lyn Sullivan, Kay Tasuji, Jennifer Thompson, Penelope Warga and Terry Wheeler. Exhibiting artists have the opportunity to give a short presentation on their work and answer questions from the audience. The artist talk is Saturday, March 17, from 2:00 to 4:00 p.m. The participating artists will be Molly Block, Alix Dunn, Doug Hiser, Cedric Ingram, Austin Magruder, Yasuyo Maruyama, Tracey Meyer, Anthony Pabillano, Jessica Phillips, Maria Elena Sandovici, Marlo Saucedo and Robert Straight. 6:00 - 8:00 p.m.BLUEorange, 1208 West Gray St.
2:00 - 4: 00 p.m.BLUEorange, 1208 West Gray St.
Each year, Visual Arts Alliance (VAA) hosts multiple professionally-juried art shows as part of the effort to create more opportunities for established and emerging artists alike to connect with the viewing public. The exhibiting artists have the opportunity to give a short presentation on their work and answer questions from the audience. On Saturday, March 17, VAA will host an artist talk for the 35th Juried Open Exhibition from 2:00 to 4:00 p.m. The participating artists will be Molly Block, Alix Dunn, Doug Hiser, Cedric Ingram, Austin Magruder, Yasuyo Maruyama, Tracey Meyer, Anthony Pabillano, Jessica Phillips, Maria Elena Sandovici, Marlo Saucedo and Robert Straight. This exhibition is the 82nd juried exhibition VAA has produced since its founding in 1981. It will be on display from March 6 through April 28 at BLUEorange Contemporary Art Gallery, 1208 West Gray, Houston 77019. Artists, art enthusiasts, collectors, curators, and emerging collectors are invited to attend. For collectors it is very important to note that VAA takes no commission on sales; all sales are handled directly with the artist. The exhibition was juried by Molly Glentzer, Arts Editor at Houston Chronicle. According to Ms. Glentzer, "I most admire, as James Turrell once said, 'art that has some ambition to it.' Each piece that made the final cut has stayed with me because it is elegant, exudes the intelligence of its maker and maybe unsettles me a bit - it's good when art makes us not just think, but think twice." New art collectors in Houston face an imposing variety of viewing and purchasing options. To help eliminate confusion and intimidation, Visual Arts Alliance has again assembled a panel of three experienced collectors who will share their passion for the visual arts. Intended for new and experienced collectors alike, this panel will provide insight into personal tastes, experiences and opinions regarding the collecting of artworks. The discussion will also let artists discover what collectors look for when considering acquiring a new piece. Our second discussion of the Collector's Perspective will be moderated by Chris Higham. The guest panelists will be Gus Kopriva, Ray Hylenski, and Michel Muylle. Mr. Kopriva is the owner and direct of Redbud Gallery. Mr. Hylenski is a local documentarian and collector, specializing in prints. Mr. Muylle is an artist, curator and collector. The free discussion will take place at The Montrose Centre, 401 Branard Street, rooms 112-113, on Saturday , April 7th, starting at 11.00. There will be Q&A session at the end of the meeting. 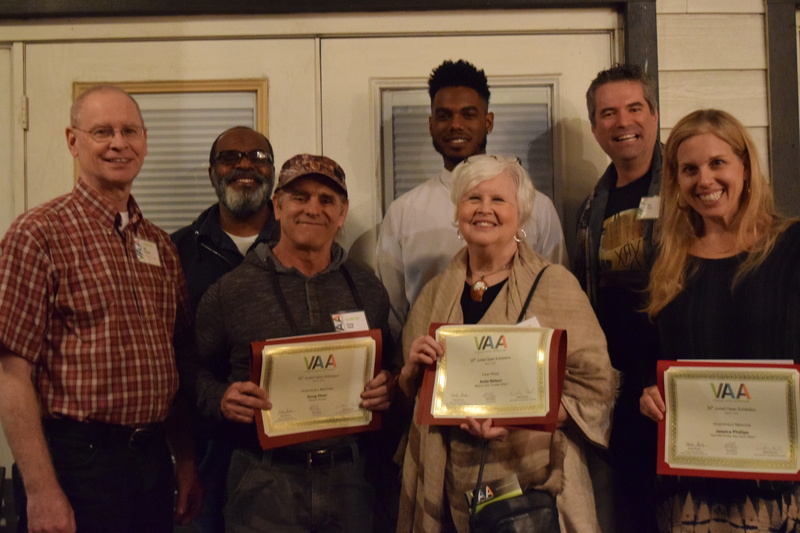 Visual Arts Alliance (VAA) is an educational organization for serious practitioners of the visual arts and interested members of the general public. Founded in Houston, TX in 1981, VAA is an all-volunteer-run, 501(c)3, nonprofit organization. 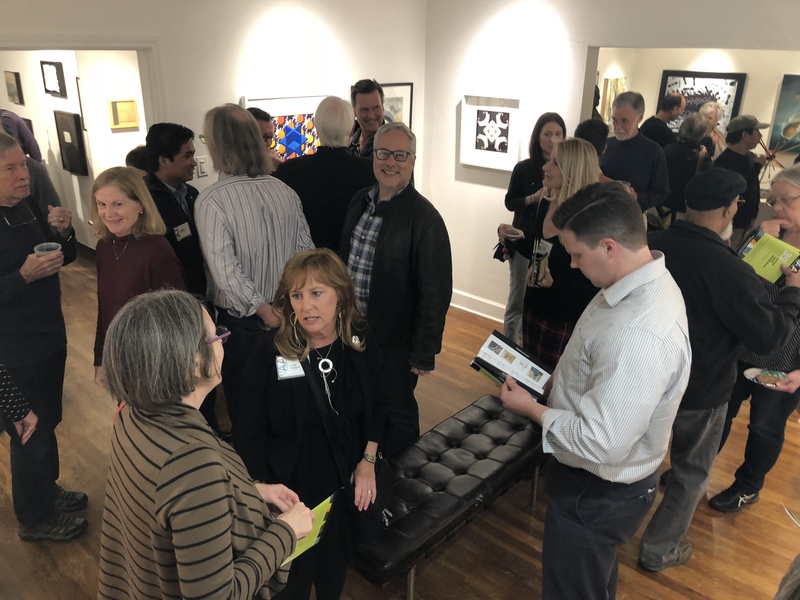 In addition to educational and recreational programs, VAA also produces professionally juried art exhibitions providing opportunities for members and non-members to have their work professionally judged and viewed by the general public. For membership details and more information, visit www.VisualArtsAlliance.org. On Wednesday, May 2, join Visual Arts Alliance at the newly re-opened Printing Museum for a lively conversation between artist and educator / collector about creating art, the artist's early career missteps, and what it takes to gain a foothold in the contemporary art world. The Q&A session with Howard Sherman and Professor Donna Tennant will take place from 6:30 to 7:30 p.m. insinde the theater at the Printing Museum, 1324 Clay Street, Houston, 77002. Howard Sherman has a Masters of Fine Arts in Painting and Drawing from the University of North Texas. He is leading a new generation of contemporary painters in the Texas art world. 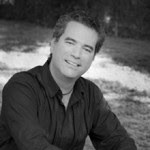 Professor Tennant is a Houston based art writer who reviews for various publications, including Arts + Culture Texas and Visual Art Source. Over the past thirty-five years, she has written about art for many local and national publications, including the Houston Chronicle, Southwest Art and the Houston Press. Matt Adams, president of VAA, is an avid promoter and collector of locally-made, original artworks. Through his involvement in VAA, as a patron and blogger, HALT713.com, he has developed a structured pricing model for artists. The system is based on current market conditions and real numbers are presented. This isn't just vague ideas! This structured pricing model takes the emotions and guesswork out of this very important issue. With this, you can easily explain to collectors/galleries why your prices are what they are. Also, you will see how and when to increase your prices (again without guesswork). In this workshop, we will use real examples to demonstrate how to bring structure to your pricing. You are encouraged to bring data about your own artwork for review. To do this, make a table with the following columns: Title, Height, Width, Asking Price. Those that bring data will be given one-on-one counseling. Your membership must be up to date prior to arrival; email Membership@VisualArtsAlliance.org if necessary. "From Pop to Present: Warhol in the World"
On Saturday, June 2, join Visual Arts Alliance for a lecture and slide presentation on Andy Warhol. "From Pop to Present: Warhol in the World" will be led by Cindy Lisica, Ph.D, former curator at the Archives of The Andy Warhol Museum. The lecture will take place from 11 a.m. to 12 p.m. inside the theater at The Printing Museum, 1324 Clay Street, Houston, TX 77002. In 1974, Andy Warhol began filling the first of his 600 Time Capsules with source material, correspondence and clothing. The Time Capsules reflect more than Warhol's personal life – they act as an insightful snapshot of the time and contain a wealth of information for researchers. Dr. Lisica was intimately involved with the re-opening of Warhol's Time Capsules and examining the minutiae of his daily life and the pop culture of that day. Join VAA for a low-key coffee social, sketch party, and discussion of Texas art at Honey Art Cafe, 3516 So. Shepherd Drive at Richmond. Join Visual Arts Alliance for a lecture and slide presentation from Dan Havel and Dean Ruck, to learn more about their collaborative Havel Ruck Projects site-specific installations. The presentation will take place from 6:00 to 7:00 p.m. at Archway Gallery, 2305 Dunlavy Street, Houston, Texas, 77006. After the presentation, walk across to their current installation, 'Ripple' at Cherryhurst House, for a guided tour. Havel Ruck Projects (Dan Havel and Dean Ruck) is an artist collaborative that works in public and quasi-public environments to repurpose architectural structures and remnants of no perceived market value into works of art. By reorganizing the physical construction of unremarkable spaces and places, their interventions bring attention and recognition to under appreciated and ordinary buildings and their histories. HRP projects have garnered broad attention from the public and media and the artists are honored to have received grants and awards from American Institute of Architects, Art League Houston, Houston Arts Alliance, Texas Society of Architects. Join VAA for a low-key coffee social and round table discussion of Texas art, Wednesday, July 11, 7:00 - 9:00 p.m., at Honey Art Cafe, 3516 So. Shepherd Drive at Richmond. *VAA members-only exclusive tour of the new Glassell School of Art which is scheduled to begin it's new fall classes in August. The special tour will be led be the Dean of the studio school and highly esteemed Houston artist, Mr. Patrick Palmer. The architecturally stunning Glassell School of Art on Montrose, in the heart of the museum district, opened it's doors in May of 2018. The 93,000 square foot building designed by Steven Holl Architects is a series of alternating soaring concrete panels and panes of glass, set in a rhythm of verticals and slight angles. The interior spaces, including the classrooms are bathed in a natural light that would incite a happy dance from any artist, no matter their medium. The expansive skyline views from the rooftop should not be missed either as they are no less than spectacular! This new Houston landmark with it's exceptional environment should soon be in the ranking as an internationally sought after destination for students eager to learn more from Glassell's accomplished instructors and impressive curriculum. Don't miss this VAA members-only insider tour! *You must be a VAA member to attend the tour. If you'd like to become a VAA member, click here. A very special thanks to Mr. Patrick Palmer for sharing his knowledge and unique insights with Houston's VAA and especially for so graciously volunteering his time. As previously mentioned, Patrick is also a busy artist at Sawyer Yards in Houston. His studio is B9 in Winter Street; be sure to stop in and check out his incredible art during second Saturday events. Visit the Patrick Palmer website. Meet us in the main gallery. Join VAA for a low-key coffee social and round table discussion of Texas art at Honey Art Cafe, 3516 S. Shepherd Drive at Richmond. Your host, Keri Bas, will be there with her sketchbook, or maybe textile art. Bring your own portable materials, dry or water-based, or rent a watercolor kit from the cafe! Our July 2018 Sketch Social took up three tables! Join us Sunday, August 19, from 2 - 4 pm for a members-only workshop at Art League Houston, 1953 Montrose Blvd, 77006, as Maureen Seeba leads us through the "A to Z" of Golden brand Acrylics and related products. This lecture and demonstration provides valuable information about acrylic paints, from the basics of their ingredients and use, to the unique properties of Golden's brands. There will be an overview of Golden Gels and Mediums as they are used with acrylics, and a review of Grounds to create different surfaces. Attendees will see a wide array of products in use, and will leave ready to explore the potential of these products in their own work. Maureen Seeba is a professional artist and teacher who is represented in more than twelve galleries in the U.S. and in Australia. Her work is found in public and private collections throughout the world. Maureen has been a full-time artist in her native Texas for over thirty-five years. She works and teaches at two studios in Houston, including one at The Silos at Sawyer Yards in Houston's Washington Avenue Arts District. Join VAA for an enlightening conversation between collector Lester Marks and artist Dario Robleto. Attendees will have the opportunity to ask questions about Robleto's work, research, and practices. The talk will begin at 6:00 p.m. at the home of Lester and Penelope Marks. Their home showcases one of the top art collections in the country. Light snacks will be available. Beginning at 5:30 p.m., 50 tickets will be handed out. The first 35 will be seated; the remaining 15 will be standing. Doors will open at 6:00. You may get your ticket beginning at 5:30 and return at 6:00 p.m. when the doors open. Dario Robleto was born in San Antonio, Texas in 1972 and received his BFA from the University of Texas at San Antonio in 1997. He lives and works in Houston, TX. Robleto's transcendent work, his ideas on the confluence of art and science, and his involvement in the search for extraterrestrial communication will provide a broad foundation for egaging conversation. Join the Board and Committee Chairs for their business meeting to learn more about what VAA does and what awaits in the future. Bring your ideas! All board meetings are open to the public. Join VAA for a lecture from Pete Gershon on his new book, “Collision: The Contemporary Art Scene in Houston, 1972–1985,” which presents a survey of Houston's art scene during a transformative decade. The lecture will begin promptly at 5:30 p.m. in the auditorium of the Glassell School of Art, 5101 Montrose Blvd, Houston, TX 77006. The evening will conclude with a tour of the exhibition curated by Gershon at the Glassell School gallery, featuring artists working during the years covered by the book. Copies will be available for sale and signing following the event. Join VAA for a low-key coffee social and round table discussion of Texas art, at Honey Art Cafe, 3516 So. Shepherd Drive at Richmond. Visual Arts Alliance has assembled a third panel of three experienced collectors who will share their passion for the visual arts. Intended for new and experienced collectors alike, this panel will provide insight into personal tastes, experiences and opinions regarding the collecting of artworks. The discussion will also let artists discover what collectors look for when considering acquiring a new piece, providing insight into the best practices for selling artists in today's market. The Collector's Perspective will be moderated by Chris Higham. The fall 2018 guest panelists will be Deborah Colton, owner of Deborah Colton Gallery; Paula Siegel, owner of Mixed Emotions Frame and Art; and Christopher Kilgore, M.A., Art History Writing Fellow at the University of Houston. The free discussion will take place at The Montrose Centre, 401 Branard Street, on Saturday, October 6, starting at 11.00 am. There will be a break for Questions & Answers from the audience at 11:45 am. VAA is happy to invite artists to submit work for our 36th Juried Membership Exhibition. Our juror for this exhibition is Laura Rathe of Laura Rathe Fine Art. We will be showing at Silver Street Studios. This is the first Juried Membership Exhibition (since 1981) that has NO entry fee. Members in good standing may enter their work for free. This fall, the Visual Arts Alliance continues a tradition of bringing individual artists and collectors into the studios of working artists in the Houston area. Michael Roque Collins is an artist recognized for producing some of the most profoundly affecting figurative Post Symbolist paintings seen today in Contemporary art. Join VAA at his studio, 2825 Saint Street, at 6:30 p.m. on Wednesday, November 7, for a tour and first look at his newest body of work. Collins' painting work has been featured in hundreds of exhibitions nationally and internationally, and is included in the collections of 13 museums and numerous corporations. He was born in Houston, Texas, in 1955 and maintains his primary studio in this Gulf Coast city, with wife, Gayle. His works are primarily represented by LewAllen Galleries in Santa Fe, New Mexico. Collins has held many university teaching positions and is currently the Senior Director of the Visual Arts Department, at Houston Baptist University, where he is also Artist-in-Residence in Painting, Professor of Art and focuses on teaching in the MFA program. Awards presentation at 7 p.m.
Tour the newest addition to the Sawyer Yards Campus with resident artists from VAA. Join VAA for illuminating discussions with artists featured in the 36th Juried Membership Exhibition at Silver Street Studios.